Johnnie Walker and The Boundary Hotel present the Johnnie Walker Rare Whisky Dinner. Hosted by a Johnnie Walker brand ambassador, allow us to take you and your tastebuds on a journey through the finest of luxury whiskies and gourmet food. 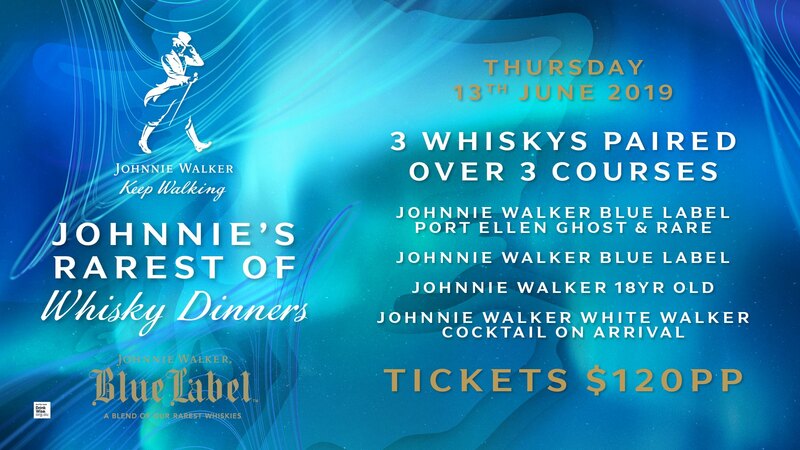 Come and experience the smooth, award-winning and distinctively bold taste of Johnnie Walker, paired perfectly with three exceptional courses. This seamless blend of renowned favours makes for one legendary evening you won’t want to miss.